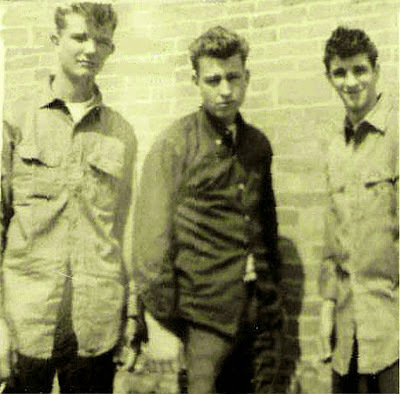 Above original Ly-Dell's; From Left; Gary Young, Chuck Hatfield and Paul O'Lone. 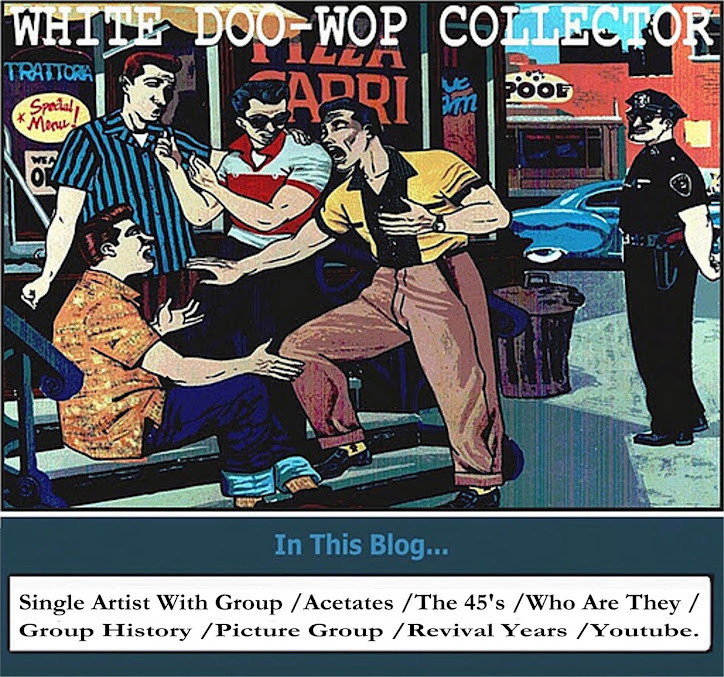 In late 1950's in West Philadelphia emerged The Del Hawks formed by Chuck Hatfield, Paul O'Lone, Billy Berry and Richie Stecker, they practice with a fast version of_Maybe You'll Be There. and classic songs as_Little Star or Rock Around The Clock, participe in local dance shows but without luck to made a record, they disbande soon. 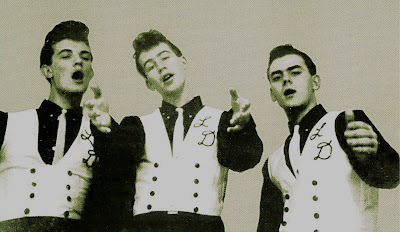 In 1961 Chuck "Casino" Hatfield (1st & 2º Tenor) and Paul "Two Ply" O'Lone (Bass & Baritone) with Gary "Skin" Young (Lead / Falsetto & Bass) formed The Ly-Dells, they working with an original song_Wizard Of Love. and signed as manager, Carlos Terziano (a cuban native) who drove the group to Sound Plus Studio on Harbison Ave. in Northeast Philadelphia were recorded_Wizard Of Love / Let This Night Last. released on the Carlo's label Master records this same 1961. The A side broke big in Cleveland, Ohio, New York City and California and were re-released by Apex records for his distribution in Canada also Roulette contacted with Carlos for help with the national distribution of the disc. this disc have a full group sound why they overdubbed his voices. In late 1961 add Richie Wetzel and recorded again for Carlo's label as a quartet_Genie Of The Lamp / Teenage Tears. The A side similar to their first Hit have a big acceptation and the group perfoming live on the Arthur Murray Dance Party on TV. In 1962 their manager send the group to Tony Mammorella of Swan records as back up group for Feddy Cannon side_Broadway. In late 1962 Richie left and were replaced by Bobby Oslar, this formation recorded for Frank Slay's SCA records_Book Of Songs / Her That Train. and again the A side charted in New York, Baltimore and of course Philadelphia. In 1963 moved to Roulette records where recorded_Karen / Doing The Wiggle Wobble. without success. 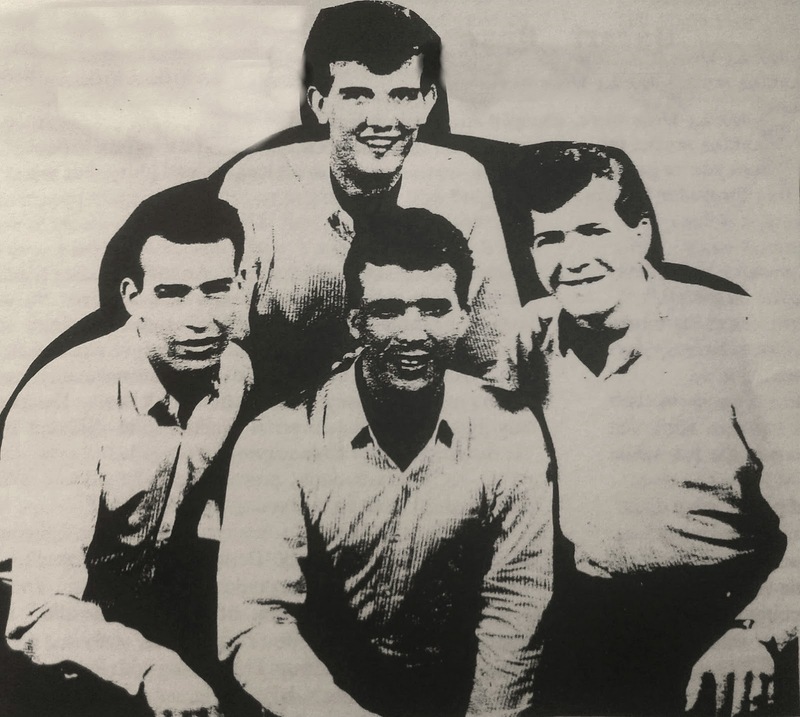 In 1964 Young, Hatfield and O'Lone with friends Jackie Butler and Billy Shield recorded for Southern Sound records_Playing Hide & Seek / Three Little Monkeys. followed by a back up work for Wee Willie Weaver ( of The Bosstones) on his Tandy's sides_You're Gonna Be So Glad / Automatic Reaction. 1964 Ly-Dell's; Top, Gary Young. 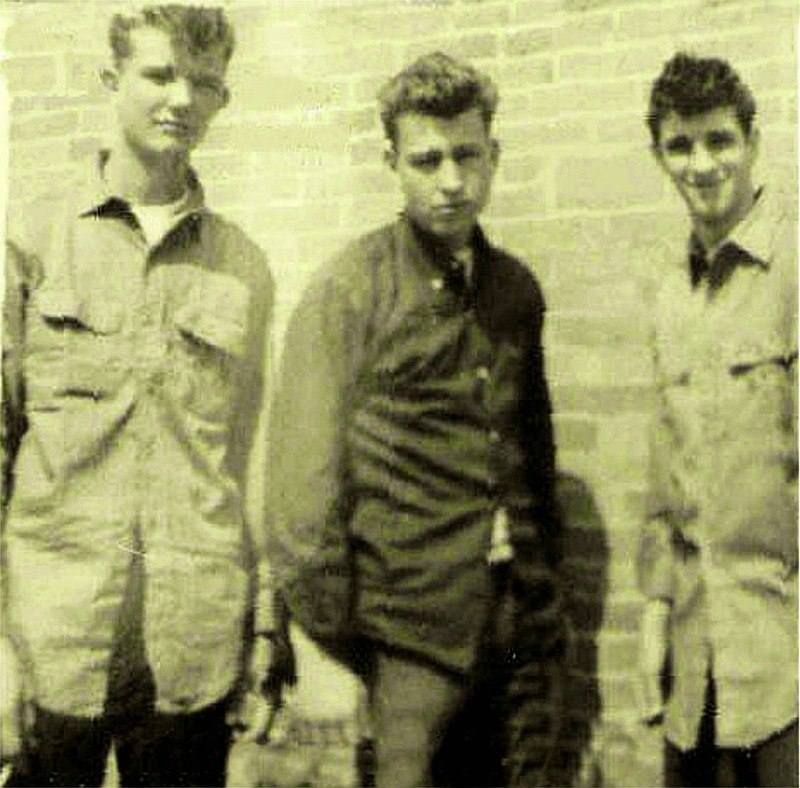 Bottom L to R; Chuck Hatfield, Billy Shield and Jackie Butler. 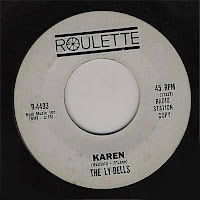 Their next recording was also in 1964 as The Len-Dells (they want appear as a new group) on the Reach label with_(Don't Be A ) Litterburg / Mary Ann. Without success the final recording was in 1964 as The Four Cats for Atlantic_Stormy Weather / Working At The Factory. the group members in this recording consisted of Wee Willie and Babu from The Bosstones with Hatfield an O'Lone of the Ly-Dells. In 1978 Val Shively pressed unreleased sides_Sherry / Little Lover. on his label King Tut. In 1989 O'Lone, Hatfield and Young, back and recorded for Wonder World records_Get Off Your High Horse / Oh What A Beautiful Thing. The Ly-Dells on Cameo was a different group.